Some Japanese support weapons for Chain of Command: figures by Skytrex, tank by Battlefront. 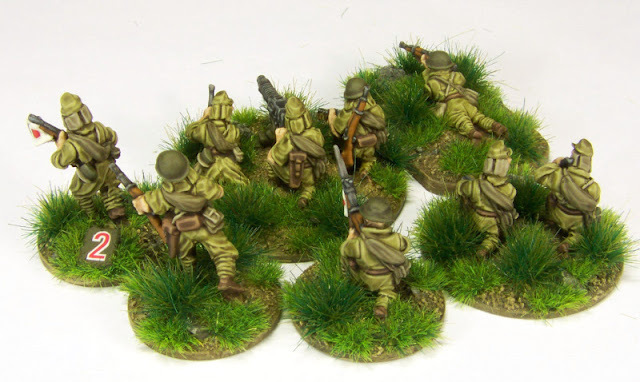 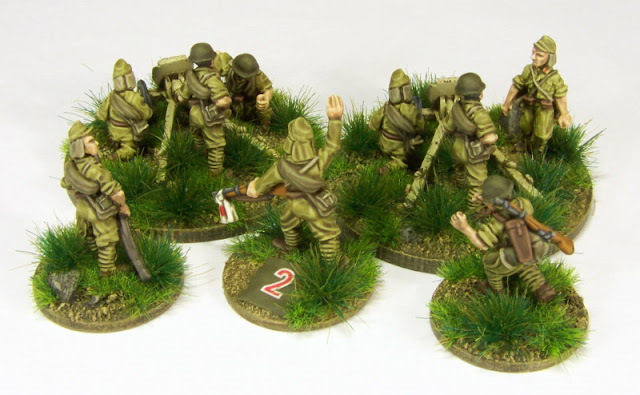 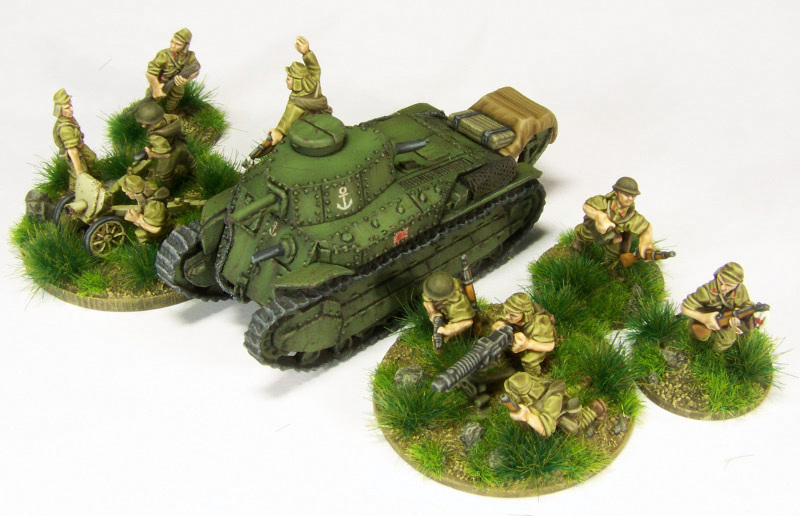 Initially for the Malaya 1942 pint-sized campaign, then Burma and waiting eagerly for the CoC Far East supplement. 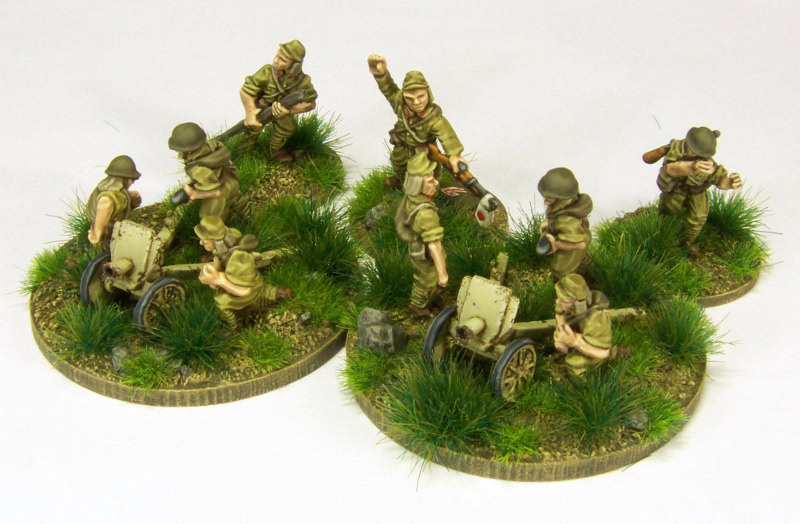 While I'm unlikely to use both 70mm infantry guns I painted both anyway: maybe useful in IABSM later, as I have a lot more figures to add for the "Fall of the Lion Gate" campaign. 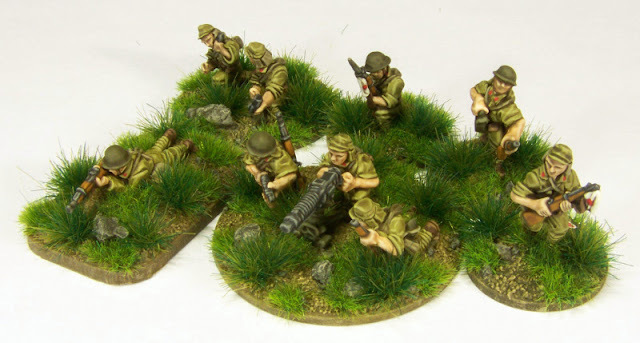 Sniper, Observer team behind him, Type 92 HMG with five crew and Junior Leader.